Renee Mate, the affiliate manager of Rewards Affiliates gives us an exclusive interview to discuss some affiliate tips on what new affiliates need to do to reach success. How long have you been the affiliate manager for Rewards Affiliates? It will be 6 years in August. From your experience how long does it take most affiliates to start earning their first commissions? From experience those who are targeting something that isn’t as saturated as the norm will start to earn their first commissions within the first 3-6 months. On average I see new affiliates start earning their first commissions around the 8-18 months mark. 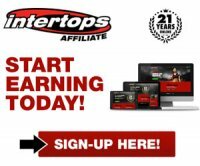 Do you have many affiliates that earn over $100,000 per month with just Rewards Affiliates alone? They say that 5% of affiliates make 95% of the money, so if that is true then the remaining 95% would make more money if they managed their time better. I think the main thing that lets affiliates down is their time management. I don’t think it’s wise to plan out your entire day because some things will need to take priority to other things, but I think with good time management affiliates would get more important things done first and allow their method of marketing to sky rocket. SEO - what are the trends right now? What do people want to see on a site? Are you doing something that no one else is doing? Why should players stay on your site as opposed to others? What differentiates your site from other affiliate’s? What do you offer that no one else offers? Run with that and be committed to always thinking one step ahead of your competitors for a good idea. As they say, the greatest inspiration is often born of desperation. If you really put your mind to it, you can do (and think of) anything. For these successful affiliates you work with describe these people in general and what you think are the keys to their success. The most successful affiliates I can think of are full time affiliates who are very focused on what they’re doing. They are always looking for new ways to get traffic and sometimes taking risks to get results and therefore learning the best ways to go about their business. They’re up to date on SEO, have newsletter lists and have a very broad range of offerings on their sites and are doing many things that you don’t see on every second site. You have won the CAP - iGB Affiliate Awards 3 times for Best Affiliate Manager, do people get jealous? I get asked this question so often and it always surprises me. Our industry is so close-knit and everyone is very friendly towards each other. Most people are 100% supportive. I even had one guy this year who was in the final 10 nominees say that if he won he would give it to me because he believed I deserved it more than anyone else on the list. It’s very flattering and very encouraging that there is so much support from competitors. I also think it’s positive that other people are working harder to be better at their jobs to win. It can only be positive for affiliates and it means that I’ve set the standard - that is probably my greatest accomplishment towards the industry. Do you have tips and advice for aspiring affiliates that would like to become a full time webmaster? I think it’s scary to go out on your own and rely on an income that may not be the same every month, but I think confidence is the key to taking this step. Most business owners started with nothing and build up their business, taking the risk in order to succeed, and now have a huge business with employees working for them. Although I wouldn’t advise this for every individual, I think taking the risk and being confident about that is the first step to becoming a full time webmaster. If at the end of the day it turns out to be the best thing you’ve ever done, great! I don’t know a single affiliate that has regretted their decision to go full time. If you want to know more about the affiliate program then read our Rewards Affiliates Review or join the program directly by clicking on the banner. If you have a question about the program just ask Renee Mate. Award Winning Rewards Affiliates Top 12 Gaffg Guides and Articles 2011 25 Best gambling affiliate portal designs Looking for more casino affiliate programs?